Home Made Austin: My New Baking Adventure! I love baking. First & foremost, I have a huge sweet tooth. My grandmother is always baking pies & trying new recipes. My Mom loved to bake as well, growing up most weeks we had a batch of cookies or a new cake to try out after dinner. It is in my blood. We don't have holidays or get-togethers without at least one dessert. In college, I started dabbling in baking, making chocolate chip cookies every once in a while, or a batch of cupcakes. 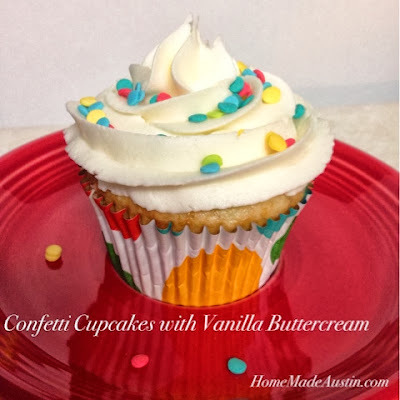 But after college, once I moved to Austin, I really started my love affair with baking...and especially decorating sweets. After a few years, I got more serious, baking up goodies to take to family events, parties at work & just about any other dinner, game watching party or event we got invited to. A few weeks ago, a work friend of Andrew's asked if I had ever or would ever consider selling my cookies. I had never sold my baked goods before, but had always thought that it would be so fun. 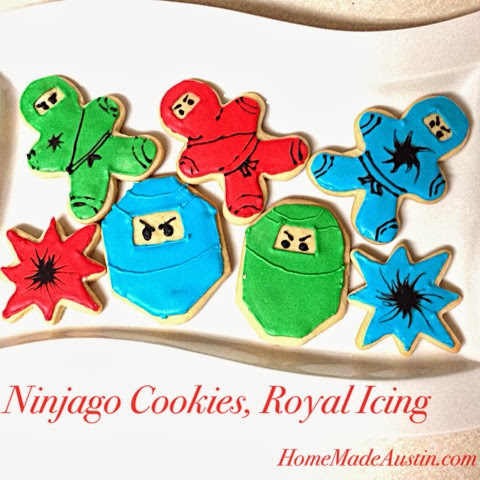 Andrew's friend asked if I would make Ninjago cookies for her son's upcoming birthday. I of course said I would love to do it. I casually mentioned that I was doing this to a couple of my work friends the same day. By mentioning my excitement, I ended up booking two more jobs that same week: cupcakes for a co-workers birthday & 'building tool' themed cookies for a meeting that my office was having the next week. So, by luck, the baking arm of Home Made Austin has been born. I'm so thrilled to be starting a baking business!! 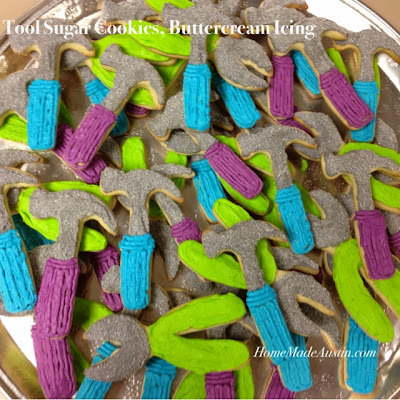 I love making & decorating baked goods & it makes my heart smile when I can create something in my kitchen that makes others happy & helps them celebrate! I'll be offering cupcakes, sugar cookies & traditional cookies. So, if you're in the Austin area & are interested in ordering from Home Made Austin, please see my Sweet Treats Menu here on the site. I've also included a few photos of those first jobs below. And I can be reached by email homemadeaustin@gmail.comhere.